Heather is in her thirtieth year working at The Big Carrot, over 15 of which she served as President of the Board of Directors. A fan of all things co-operative, she helped to promote the Carrot and the co-op experience by speaking to classes at OISE. She is proud to be part of Carrot Cache and its mission to support the agricultural and organic movement. 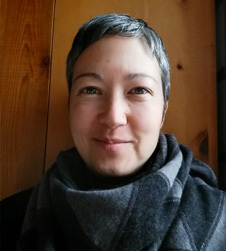 Sarah Dobec graduated from McMaster University in 1996. 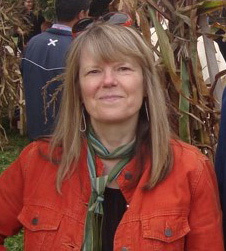 After a career in youth tourism and her own stint travelling the world Sarah studied at The Institution of Holistic Nutrition in 2008 and completed a certificate in Public Relation from the University of Toronto in 2014.Sarah is currently the Marketing Manager and Public Relations Coordinator at The Big Carrot Natural Food Market. 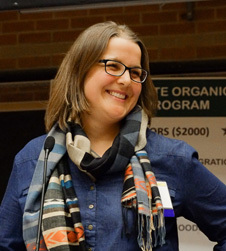 She sits on the Standards Committee as well as the Donations and Nature's Finest Fund Committees.Outside of her work at The Big Carrot Sarah is a board member at The Canadian Organic Growers and the Carrot Cache. In her downtime Sarah enjoys spending time in nature, playing tennis, gardening and cooking. Rebekka is wildly interested in food and the people that grow, harvest, distribute, prepare, and eat it. She has been a Carrot Cache Board member since March 2017, and was the grants coordinator for 3 years prior. She runs a Toronto-based fermented food & drinks company. 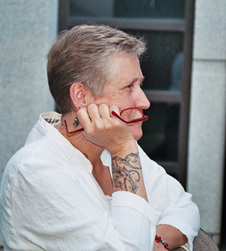 Daiva is a founding member of The Big Carrot established in 1983. Among her other working duties, Daiva was responsible for the funding of 10% of The Big Carrot's profits to community organizations and organic agricultural initiatives. She also worked along members of the Searching for Nature's Finest committee, an annual grant program that expands the availability of locally produced food and supports and strengthens the working relationships between local family farms and The Big Carrot. Her experience with funding is an asset to Carrot Cache. After 33 years, Daiva has recently retired from The Big Carrot. Though no longer involved in the day to day activities of the store, she remains devoted to the business and will continue on as a shareholder. As a board member of Carrot Cache, Daiva looks forward to granting and supporting farmers, growers and producers who will shape the future of farming while promoting organic agricultural practices. 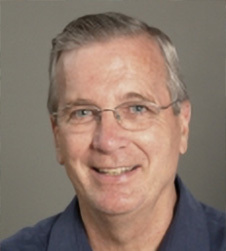 Peter spent ten years teaching in the Community Studies program at Humber College, eight years as director of recreation and community development for Bell Canada International in Riyadh, Saudi Arabia and twenty Years as a Research Associate at the University of Guelph in the Centre for Land and Water Stewardship. 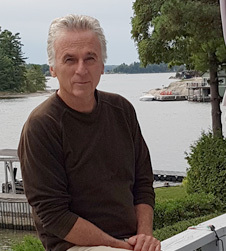 He co-wrote the Woodlot Management Handbook, a National Bestseller, and the Caring for Your Land books for the Niagara Escarpment, the Carolinian Canada Zone and the Oak Ridges Moraine. Peter started the World Crops Program in 2007at the University of Guelph and received the Premier's Agri-Food Innovation Excellence award for this project in 2011-2012. He currently manages a project called New Canadians Go Greenbelt and manages the Young Conservation Professionals Program. 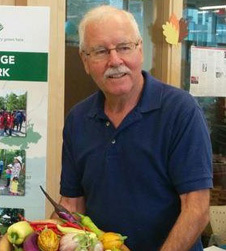 Peter is a past Board Member of; the Sustainability Network, Toronto Food Policy Council, Ontario Farm Land Trust, and Humber Watershed Alliance. He currently serves as a on the Board of Directors for the Carrot Cache, Montgomery's Inn and the Etobicoke-Mimico Watershed Alliance. Melana believes that uncovering and acknowledging race and class inequities in the food system is vital for creating more sustainable and ethical ties with the food we eat. For Melana, this means working to systemically shift and strengthen our regional food systems by working with farmers, small businesses, community groups, non-profits and research and advocacy groups to build local capacity to further long-term agricultural and food security goals. 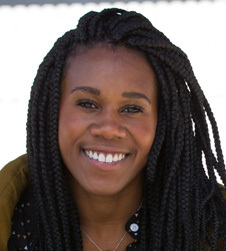 She currently works in the office of City Councillor Joe Mihevc, supporting the development of city-wide policy, with a focus on food security, poverty reduction and environmental issues. Melana is also Chair of the Toronto Youth Food Policy Council, and is a member of the Toronto Food Policy Council where she is working to advance community-led food strategies and food asset development. In her spare time, Melana champions regional and national food policy advocacy and actively supports youth engagement and environmental education as a Director on the Board of Green Thumbs Growing Kids. Prior to these roles, Melana supported food security, health promotion and capacity building projects with Indigenous farmers in Guatemala and Ecuador. David Walsh is President of Carrot Common Corp. He has had a long-time interest in social justice, community economic development and social entrepreneurship; and has co-founded several charities and social housing projects that support individuals who are rebuilding their lives after a setback in their life journey. David is a recipient of a Jane Jacobs Award for his community work. Tom and his wife Julia raised their four children unconventionally in Peru, Panama, Ecuador and Nicaragua. He was involved with community economic development and human rights work at both the grass roots level and institutionally. Food security and sovereignty has often been present in this work. During the past 45 years his family has had brief stints in Canada to where they have now returned. Currently Tom is the Property Manager at Carrot Common and pleased to be a Board member of Carrot Cache.